The 599-921-18 Brown & Sharpe Ultra Precision 12-Piece Angle Block Set is on sale at Gaging.com! Pay securely with most major credit cards. Terms of NET 30 days available when you establish credit. Expedited Shipping Available! Contact us for details. Buy online or call us at (702)456-2264, Quantity discounts available! We happily accept international orders via bank wire transfers of US funds. 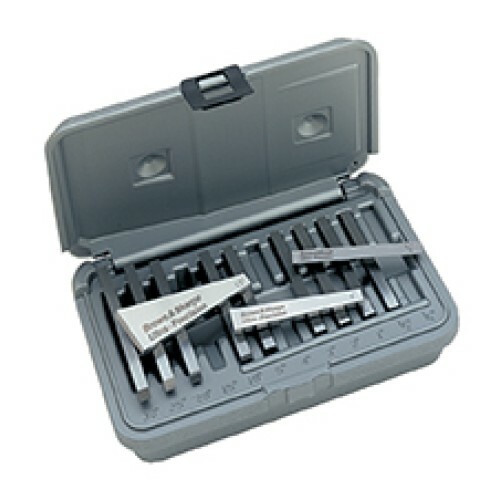 Do you have any questions about 599-921-18 Brown & Sharpe Ultra Precision 12-Piece Angle Block Set?